At Cascade Country Cabins we are dedicated to building among the finest quality Tiny Homes available. Each and every project is built entirely “in house” in the beautiful Columbia River Gorge, by our own talented craftsmen, to insure every detail meets the standard of excellence you deserve! We offer three unique floor plans designed to accommodate the full time resident, or the entrepreneur wanting to explore the popular vacation rental market. Other options could include hunting or fishing cabins or just a neat little place to escape for the weekend. Changes to these floor plans are also welcome. Our source of locally harvested materials promote a distinct and appealing Northwest feel that expresses an atmosphere of being on vacation without leaving home! There are many wonderful and creative interior options available to today’s tiny home buyer. In our opinion many of you are capable of, and would enjoy having the opportunity to complete this phase of the build yourself. This D.I.Y. option allows you to pick and choose the details that fit your personal wants and needs, not to mention the extra savings by providing your own labor. If you aren’t comfortable with this approach you may choose to hire out portions of the interior finish work, allowing you to manage its outcome from a closer prospective. Thank you for taking the time to give us a look. We enjoy being part of the Tiny House movement and and would consider it a privilege to build your Tiny Home. If you are considering hiring a tiny home builder or a custom log home in the near future, call us first. We are custom builders in Oregon and Washington. Our tiny house is a result of Ben's skill, vision and creativity and is beyond what we ever imagined. Ben made our vision and dreams come true. Artistry has met functionality which is the age-old debate in architecture. 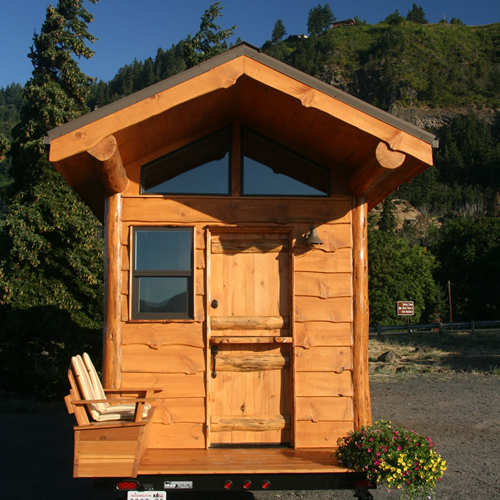 For anyone reading this that has been looking beyond a manufactured tiny house to a structure that is original, a piece of art and is constructed with love, passion and craftsmanship that is seldom found these days, we highly recommend you contact Cascade Country Cabins and talk with Ben about creating a piece of artistry for you. We have known Ben Sciacca for several years. When we bought our log home, we needed a reliable contractor to make some major repairs on the home. We were referred to Ben. His work is meticulous. He is a perfectionist who knows exactly what needs to be done. 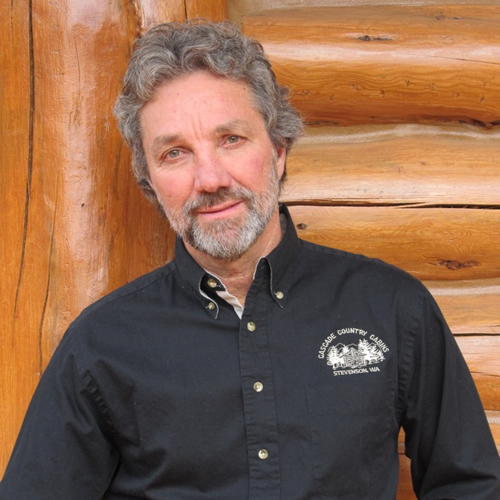 He is very honest and totally trustworthy, as well as very knowledgeable in log home construction. We are greatly enjoying our home thanks to him. Ben, our builder, takes great pride in his work. He built us a beautifully crafted log home with attention to detail. He tried very hard to please us, listen to us and do things the way we wanted them done. He changed things where he could and made many special touches to make the house uniquely ours. Ben takes immense pride in his craftsmanship. His finished product is a true work of art. I love my cabin. Each time we go to our log home retreat in the mountains we notice some new intricate detail of craftsmanship that we never noticed before, even after five years. We love our log home built by Cascade Country Cabins and everyone who sees it is amazed. Not many log home builders build the house from the foundation to the finished product like Ben Sciacca from Cascade Country Cabins. We are extremely pleased and proud of our custom log home. After eight years, we still appreciate the quality and craftsmanship of our Cascade Country Cabin. Ben’s extra effort and attention to detail really made the difference in creating a beautiful and unique home. He built the log cabin as if he was building a home for himself. We are very pleased with the services provided by Ben Sciacca and the Cascade Country Cabins team. 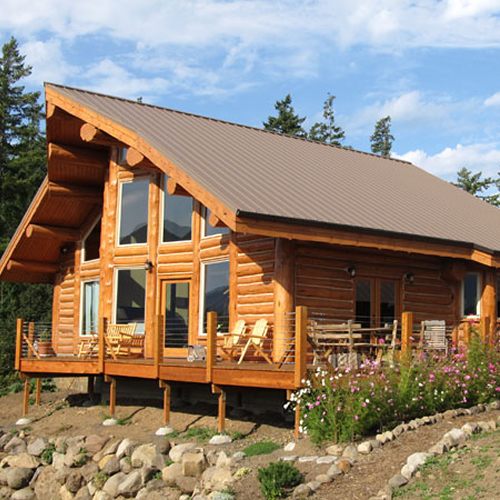 From working with us to design our dream home within our budget, to making our dream a reality and being available to help with routine maintenance as the years go by, Cascade Country Cabins is an experienced, full-service builder, and Ben is a rare craftsman. Ben personally selected each log, which was then hand-peeled and placed to maximize its natural beauty and characteristics. Because of his efforts, our home is a functional work of art that is as warm, inviting and unique as our family. 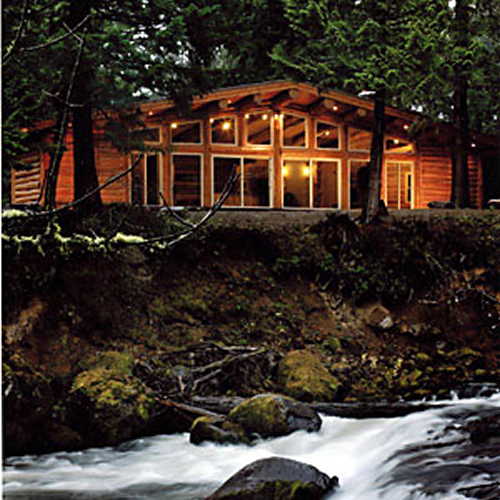 We highly recommend Cascade Country Cabins to anyome who is in love with log homes.